For an adventurous few, Bali isn’t a tropical beach hang with good shopping and cheap food – it’s a trekking paradise. With numerous mountains suited to a variety of skill sets, the Bali trekking scene need not be reserved for the truly intrepid traveler. The sojourn can be made easy by finding a local trekking guide from the neighbouring villages, or saddling up with a group through one of several travel companies that have this activity on offer. Opting for a local guide is an intimately cultural experience, as most guides will be able to unravel the secrets of the mountains and allow you the chance to understand these spectacular structures. Travellers are led to the best views through the safest routes depending on the weather and their ability to catch their breath. …they unravel the secrets of the mountains, allowing you the chance to understand these spectacular structures. Enter the heavyweight champ of Bali’s mountains. 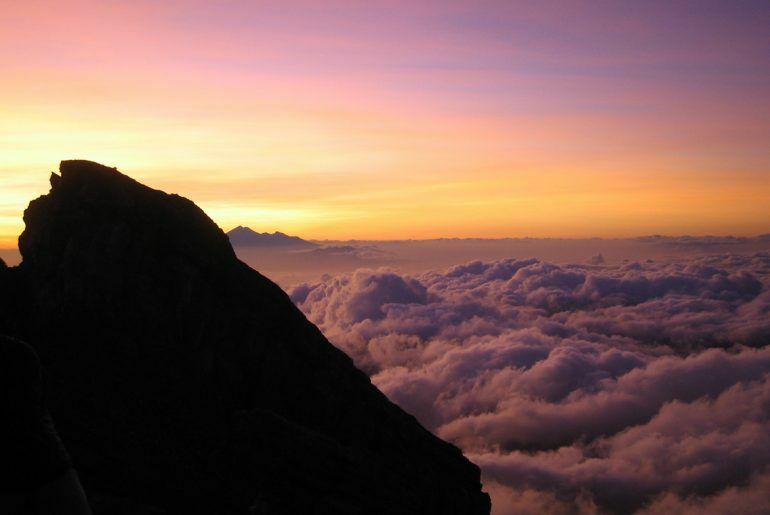 At 3031 meters, Mount Agung is the highest point on the island and dubbed the most challenging trek in Bali. It requires a pretty sturdy level of physically fitness and some serious trekking experience. Mount Agung is by far the most challenging trek in Bali. Enter at your own risk. As a child, my father (born and bred in Indonesia) had been told that this was the mountain of God. As their thrones, the Gods placed these mountains around the islands – with Mount Agung forming the highest in Bali. The mother temple, Pura Besakih, lies on the slope of this mountain and houses offerings and cremation mounds formed in the shape of the mountain. You can see why the Balinese pay their respects to this active volcano – in 1964, the wrath of Mount Agung devastated many villages, killing 1,500 people. The mountain of God will bring you to your knees (literally) – it gets so steep in parts that it’s easier to do the trek on all fours. As spectacular as it is devastating, Mount Agung is definitely a challenge for the brave to conquer when visiting Bali. Start your hike through the thick forest near the Pura Besakih temple before your seven hour steep ascent up the mountain. The terrain becomes a rocky scrabble as you make your way up, so make sure you are wearing the appropriate hiking boots. The mountain of God will bring you to your knees (literally) – it gets so steep in parts that it’s easier to do the trek on all fours. If you time your climb perfectly and start trekking late at night, you will reach the highest peak in time to witness the spectacular sunrise overlooking encapsulating views of neighboring Lombok and Nusa Penida. It is a view not to be missed! 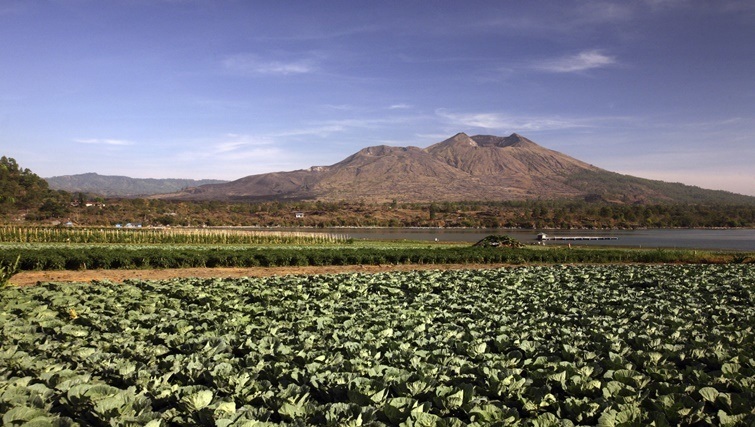 In the Kintamani District of East Bali stands the iconic Mount Batur. It lies in the heart of a massive crater about 14 kilometres in diameter, permanently showing the magnificently devastating eruption that occurred more than a thousand years ago. Part of UNESCO’s Global Geopark Network, it is one of Indonesia’s most active volcanoes, sometimes deemed unsafe to trek due to its volcanic temperament. Highly sacred in Hinduism, the mountain is surrounded by the Kedisan, Songan, Trunyan and Toya Bungkah villages, where guides are easy to find. A group of backpackers trekked the mountain in 2009, only to be surprised by a new eruption. Mount Batur is a relatively short and easy trek, making it the most advertised and visited volcano in Bali. Popular since the 1970s, my father remembers the time he rode his Honda CRV from Bali to Kintamani with three of his Aussie mates, enjoying Mount Batur then relaxing in the hot springs at one of the villages. Being easy to climb, the trek is suitable for children, and can be completed in about an hour or so. Be your own guide and trek the rim of the volcano before ascending to the summit. You will pass three craters clouded by steam, lava flows, and steam fissures. If nature permits, you may witness the adorably cheeky Macaque monkeys congregating by the largest crater. If you choose to trek unguided, be sure to check the current volcanic temperament before your commencement. A group of backpackers trekked the mountain in 2009, only to be surprised by a new eruption. Do not take risks if there is a chance of activity. Coming in at the second highest is Mount Batukaru, the highest peak in the Bedugul volcanic area. 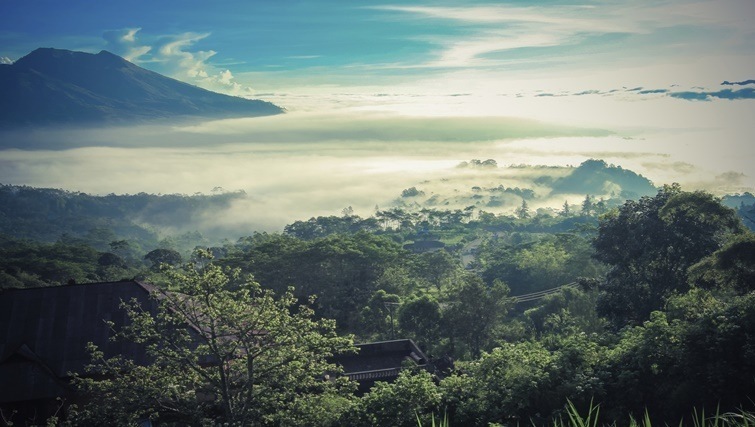 As an extinct volcano, its landscape makes it the most unique rainforest mountain trek experience in Bali. 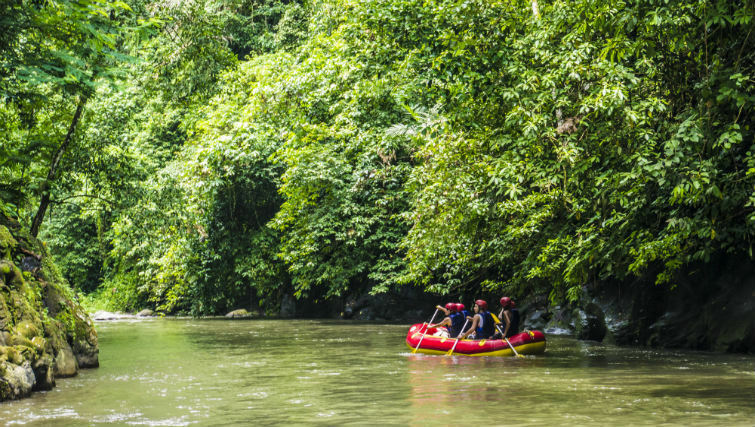 Batukaru’s rainforest is hidden away from populated areas, perfect for those that shy away from the ‘touristy’ places. Largely undiscovered, this offers tourists the combination of nature, culture and wondrous views. its landscape makes it the most unique rainforest mountain trek experience in Bali. My father explained that villagers in the area believe that after departing this world, their spirit will return to the mountain. This is a highly spiritual and sacred place, worshiped by the Balinese with the Pura Luhur Batukaru temple devoted to its presence. Unlike the other mountains, it is rare to see other trekkers along this hike. This rainforest is the largest wetland in Bali, and for conservation, the number of trekkers permitted are limited. With the mountain’s fertile volcanic soil combined with its dense rainfall, the rainforest is home to a myriad of wildlife. Trekkers can witness the Kijang (small deer), Pangolin (ant eater), Macaque, the leaf eating monkey, and the infamous Luwak that digests then passes out coffee beans to be roasted. This rainforest is THE brewing ground for Kopi Luwak – the most expensive roasted coffee in the world. This nine hour challenging ascent traverses a narrow and unsealed trail that is mostly shaded by tropical rainforest. Visit the small mountain temples along the way, with entry politely denied to women menstruating. As you will be entering their sacred ground, it is only polite to accept their customs. Arriving at the summit, trekkers will be rewarded with complete serenity, overlooking views of Mount Agung, Lombok, Java and the north, south and east of Bali. The largest crater in Bali sits atop the mountain with a view of the lakes of Bedugul. Avoid climbing Mount Batukaru in times of rain as the rainforest becomes a very dangerous place to trek with the pathways getting very slippery. Once you’ve arrived in Bali, completely relaxed, and broken away from the stress of the world, you might start hankering for a spot of adventure. After all, you’re in the most beautiful archipelago in the region. There’ so much more to see and experience beyond Bali and it’s only a stone’s throw away. The most common trail for a weekend break from Bali is Lombok and Gili. But assuming you’ve already been and want to witness something truly special, then you must visit Labuhan Bajo, a picturesque fishing village and gateway to the Flores archipelago and untouched islands of Komodo National Park. 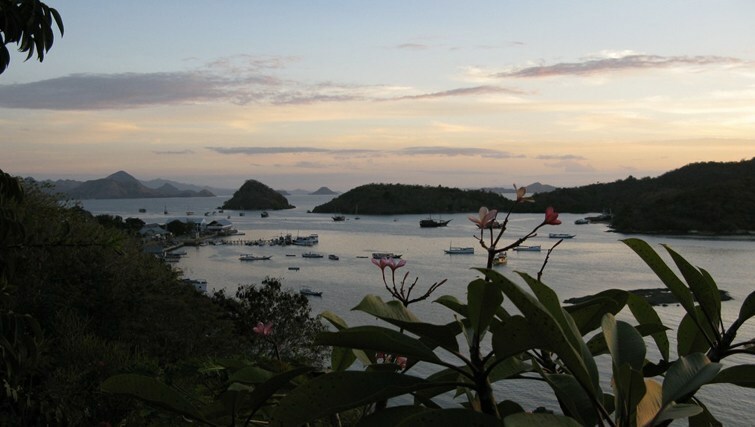 The Flores archipelago is viewed by many as the most scenic cluster of uninhabited islands. With its pristine headlands and untouched coral reefs, it’s as mesmerizing under water as it is on land. Dutch sailors stumbled upon the Komodo islands in 1910, and since then, the endangered creatures have been extensively studied and protected in their native habitat. You’ve probably already seen them on nature programs, but seeing this giant lizard in real life is an incredible experience for both young and old. The best time to visit Komodo National Park is during the dry season from April to December. However spotting the Komodo dragon during their mating and nesting seasons (July to August, and September to November) is not as easy, so timing your visit is a wise thing to do. Three flights on Merpati Airlines, Wings and Lion Air depart daily from Bali to Labuhan Bajo. Book these through a travel agent or at Denpasar airport and you should get a better rate than booking online. A return flight shouldn’t cost more than USD$300 during high season, and around USD$200 – 250 when it’s less busy. The short one and a half hour flight passes over clusters of tiny islands, mountains and headlands, but don’t expect to get a good picture from the dusty window of the old planes. When you arrive at Labuhan Bajo airport you get the sense you’re now in “real Indonesia” as you walk onto the tarmac. Taxis from the airport to your hotel are small minivans that carry up to six people. The driver will usually fill the taxi with other passengers before taking off and the journey costs about US$7 per person to get to the south of the town, 10 minutes away from the main hub. Even though plenty of tourists pass through this charming fishing town and there’s evidence of halted construction and jerky development, the town remains relatively untouched. The tourist shops and hotels don’t encroach on the town, instead they’re set back from the daily life of the town and its people. Nothing here is over developed or overly packaged to cater for tourists. Not even the shabby restaurant shacks that squat on the side of the hill overlooking the harbour. Accommodation in Labuhan Bajo is a no frills affair. Many of the inns and hotels look rather run down, so look for something rustic with charm or a new-ish resort. It doesn’t cost much more than staying in a hostel or a homestay and besides, you need a comfortable room to get a good rest after spending your days on the sea. The Waecicu Eden Beach Hotel, located 15 minutes from the harbour in a gorgeous bay, is a great option. You’ll have brilliant views of the setting sun and be close to trekking trails in the surrounding hills. The wooden thatched roof bungalows perched on the hill above the beach stay cool in the day and let in the gentle song of ocean at night. If you prefer beach hotels, then Puri Sari Beach Hotel is a great option that offers great rates (USD$70 during low season and USD$80 at high season). The rooms are spacious, with modern bathrooms and reliable water heaters. The reefs around Komodo National Park are outstanding dive spots for sharks, massive rays, giant squid, tiny pygmy seahorse and occassionaly, the Blue Whale. Liveaboard expedition boats dot the Labuhan Bajo harbour, however trips are scheduled in advance to fill the cabins, so if you’re an avid diver, this is definitely worth looking into. 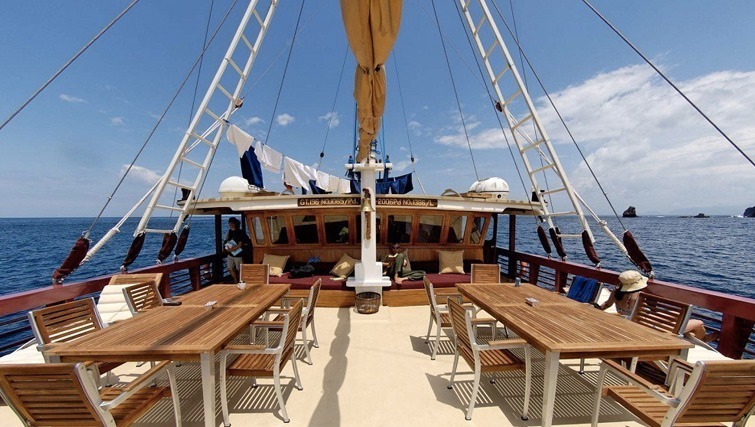 The Seven Seas sails regularly around Komodo and to the East of Flores and Raja Ampat. Rates are fixed at US$450 per person per night or US$900 per cabin per night until 2015. There are eight staterooms onboard which can be booked individually, or as a group with a good discount. Visit The Seven Seas website for more information or email info@thesevenseas.net. Being the sort of tourist town that it is, the taxi driver from the airport might have already presented you with a range of activity options and prices. But it’s often worth waiting to organise a day trip directly with a local tour operator. You can either share a small boat with other groups of tourists or rent one to yourself at USD$80 for the day. This doesn’t include the island fees of about IDR25,000 per person for admission and a guide. 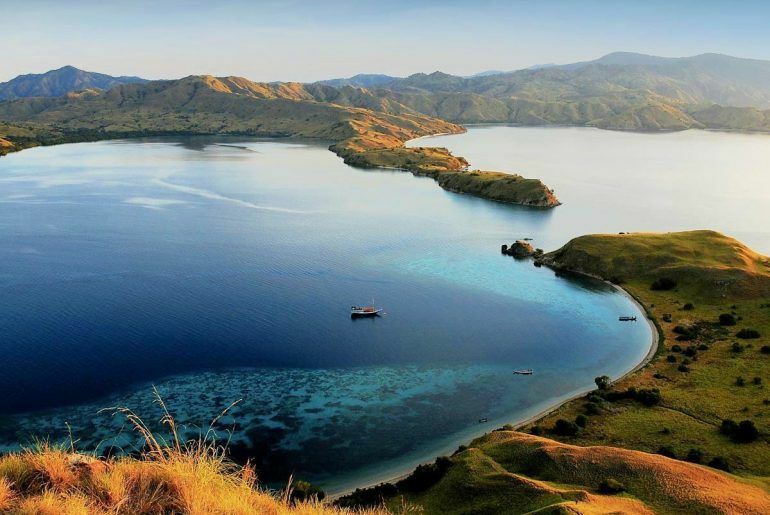 Komodo Island is a UNESCO World Heritage site and was recently named one of the New Seven Wonders of Nature. The Pink Sand beach on the island is also only one of seven found in the world, made of white and red sand and the Foraminifera amoeba. The giant lizards are usually quite easy to spot, however there’s also more of them on Rinca Island along a shorter and less challenging trail. 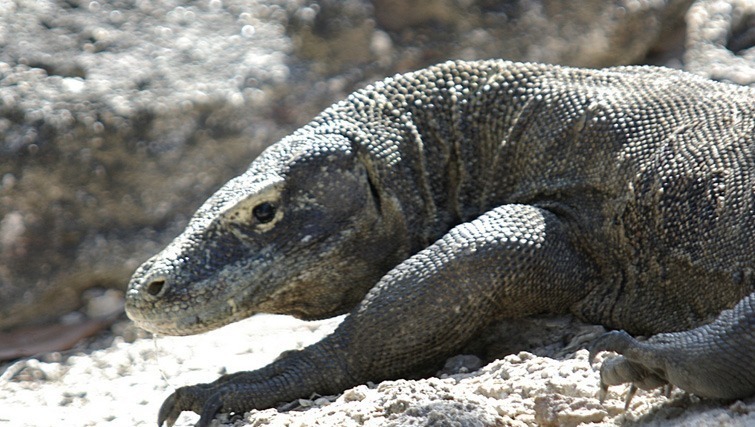 You get to learn a lot about the Komodo dragons and the history of the islands from the guides. The giant beasts are scattered throughout the trail and it’s unnerving walking past them when they flick their bright blue tongues in the air, but the guides assure they are well fed and pose no threat. Snorkeling in one of the dynamic reefs teaming with ocean life after trekking on foot is a welcome treat in the afternoon. 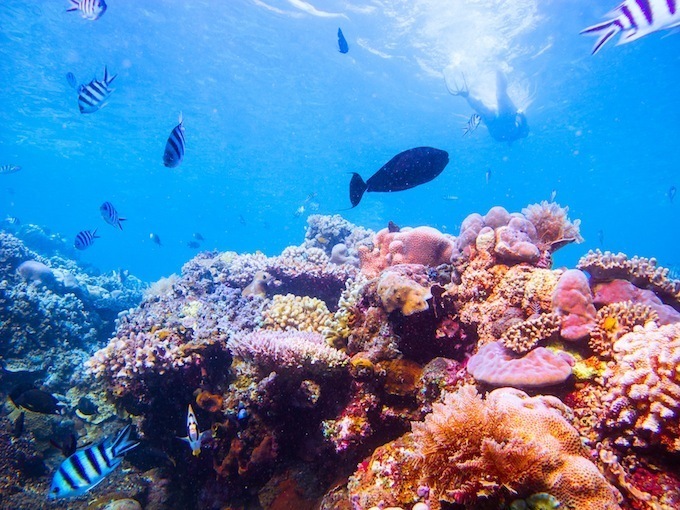 The array of colours and species in the shallow waters is amongst the most vibrant snorkeling in the world. In the late afternoon, the sun burns low in the sky toward Seraya Island, where traditional fishermen trapped their prey in bamboo structures as the tide washed out. The perfect site for sailing home. If you’ve still got some steam left in you in the evening, get a boat out to Kalong Island at dusk when screeching swarms of giant flying fox bats rush from the mangrove island in search of food. In the evenings, the main road in Labuhan Bajo comes alive with local hawkers and evening moped traffic. Set above the harbour, you can capture the view of the main cove and collection of shops, houses, hotels and restaurants that line the steep hill. You’ll need to find an unobstructed view to capture a good panoramic photo away from tangled power lines and solitary poles that pierce the horizon. Finally, don’t forget to snap a picture of the town as your boat moors into the harbour after a day at sea. The multi coloured shacks and houses stacked on top of each other make for a great travel shot for the photo album. Blessed with 365 days of swell, damn good weather and pristine warm water temps, the island of the Gods is a fave surf destination for travellers. The peak surf season for Bali is from April to October where solid swells hit the reefs around Uluwatu, Nusa Dua and Kuta. The wet season is from November until March, a time when the surf isn’t quite as large and intimidating, but it’s consistent. Waves are roughly 3 – 5 feet in height, day after day. Opposing winds offer good conditions, particularly in the clear waters and snoozy spots of Nusa Dua and Sanur – just some of the prized surf locations during the wet season. Way back in 1936, Californian surfer Bob Koke moved from the shores of Hawaii and set up home in Bali, opening the Bali Hotel on Kuta Beach with his wife Louise. Kuta was an empty coast back then, but with Bob’s arrival it became the island’s first ‘surfer’s beach’. Surfing didn’t immediately catch on with the locals and tourist folk alike, so fortunately for Bob he had the entire Bukit all to himself. 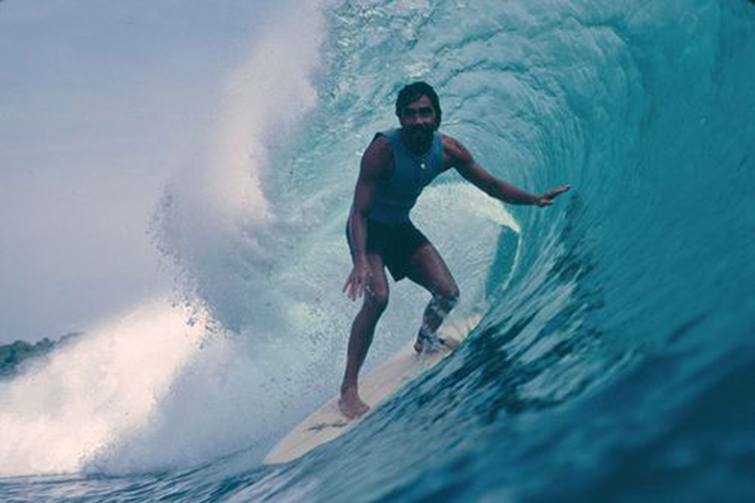 By the 1960s and 70s, intrepid surfers like Kim Bradley, Jerry Lopez (aka Mr. Pipeline) and Rory Russell came across the Bukit Peninsula, and started trickling into the island for a taste of this surfing sanctuary. Lopez and Russell were credited for exposing and validating Indonesia and prime spots like Bali as a comprehensive surf destination with immense potential. 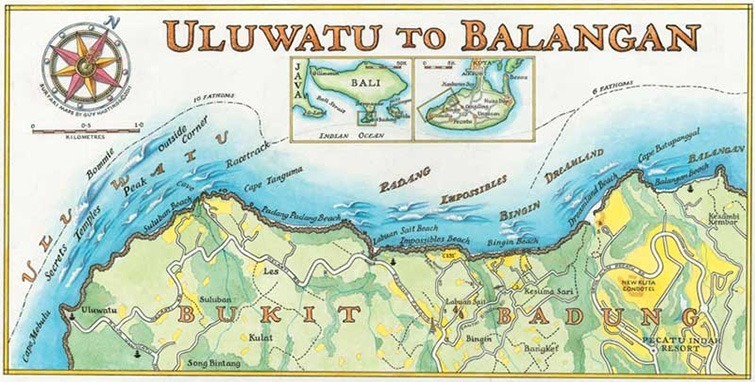 Bali has been the ultimate mecca for surfers since the 60s and 70s, from Uluwatu to Bukit and Old Man’s Canguu, the combination of surf, sun, sea and serenity attracts hordes of surfers from learners to professionals and is part of the top ten reasons of Bali’s attraction and mystique. Bali’s tourism industry owes a lot to the sport, after all it was the surf at Kuta Beach that first attracted the Aussies and Kiwi’s back in the golden years. Spreading the gospel of surf in faraway lands, as surf culture went on the move to find the best waves. Classic gems such as Morning of the Earth features Steve Cooney and Rusty Miller riding perfect peaks in Bali as well as Australia’s north-east coast and Hawaii, ultimately portraying surfers living in spiritual harmony with nature and in search for the perfect wave. The crown jewel of surf movies, Bruce Brown’s The Endless Summer, adored by critics and surfers alike, shows two West Coast surfers travelling the world in search of amazing waves. Brown’s film masterfully captures surfing as a fun-loving, sociable, sunny sport, and the production value is like a well-made home video. 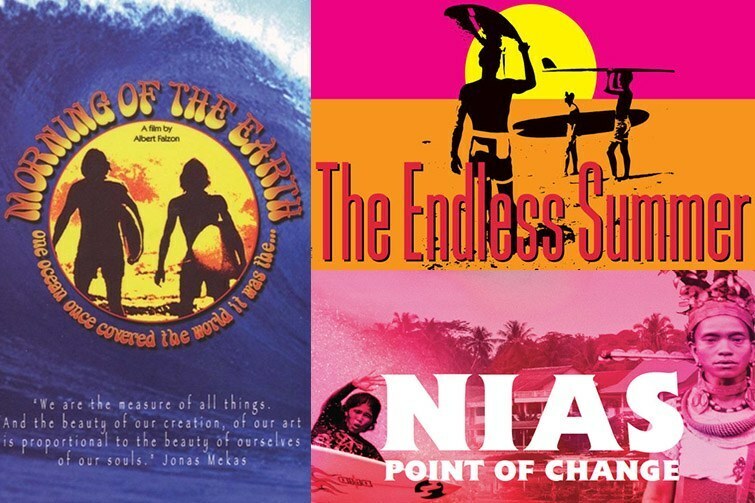 The Endless Summer II highlights the popularity of the iconic past-time and how far the love of the sport has spread with footage of surf sessions from Java and Bali to South Africa, Costa Rica, France, and even as far as Alaska. Indonesia’s female surfer Yasnyiar “Bonne” Gea stars in NIAS Point of Change, a recently released doco that focuses on the phenomenal Indo surfer. Bonne Gea was the first female surfer in Nīas and pursued her passion of surfing. Despite all the odds, she went on to become five times Indonesia’s Women’s Surfing Champion. A true inspiration and local hero! There are many famed surf spots around the island, however some are often dominated by territorial pros, riding and fighting for the best waves. The following beaches are in arms reach of major surf schools and sit conveniently within the main tourist hubs. This sandy beach stretch has fun and easy waves for the virgin surfer and novice to intermediate rider, with small swells and a variety of surf schools lining the beach. The waves are consistent, measuring at an average of one to three feet. However, the currents are sure to increase in the late afternoon. Known as the sister resort to Kuta Beach. The waves come in a steady variety (similar to Kuta) with a sandy break averaging one to three feet waves, with swells increasing in the late afternoon. There are also notable surf schools found in Legian, such as the Rip Curl School of Surf and the Surf Academy at the Legian Beach Hotel, accredited by the Australian Academy of Surfing Instructors. The academy also offers fantastic wave-riding courses in the front of its garden pool. Just north of Legian Beach, Seminyak offers a great deal of swell often double the size of Kuta Beach. The ideal rideable waves offer plenty of lefts and rights as well as short lengths, great for surf virgins and kiddie riders. Right on the borders of Legian, Dhyana Pura has some decent waves level to Kuta, and is way less crowded with an array of surf schools and camps running across the coast. 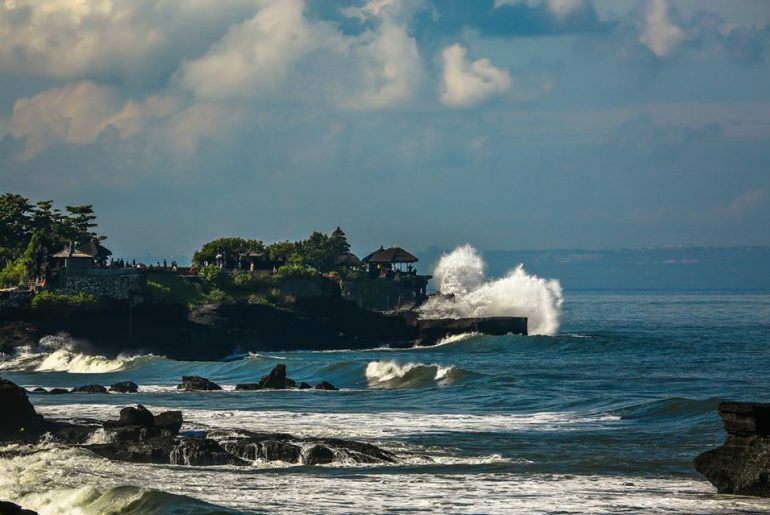 Pantai Batu Bolong, as named by the locals, is a beautiful sandy beach stretch from Seminyak boasting amazing views of the Indian Ocean. The panoramic view of the sunset is simply breathtaking and a fave site for sunset surfs. Nicknamed ‘Echo Beach‘ by the expat surfers, the waves cater to all types, from learners to the pros. There’s a consistent break and flat rock bed with waves under six feet, but learners should take caution when heading out as there are no lifeguards patrolling the coast. Even if you’re still learning the art of surfing…take it up notch. Go ahead and impress your surf instructor for the next surf sesh and get your extra dose of the chillest BIGGER wave spots in Bali, but remember to always stay safe and know your limits! Surf schools are a great way to learn how to surf in a short period of time while learning the techniques from scratch, picking up important tips, getting to know surf etiquette and gaining knowledge of the sport. Lessons are taught by fully trained and certified surf teachers in controlled, safe ocean environments. They will guide you through the waves and teach you the best ways to stand up on a surfboard. A great surf school in Bali can teach you to take off on the first wave, usually in eight one-hour surf lessons. But it takes perseverance, practise and strength from you to make it happen! In reality, learning how to surf is possible in say one or two months. Before you commence a class it’s important to note the coach to student ratio. 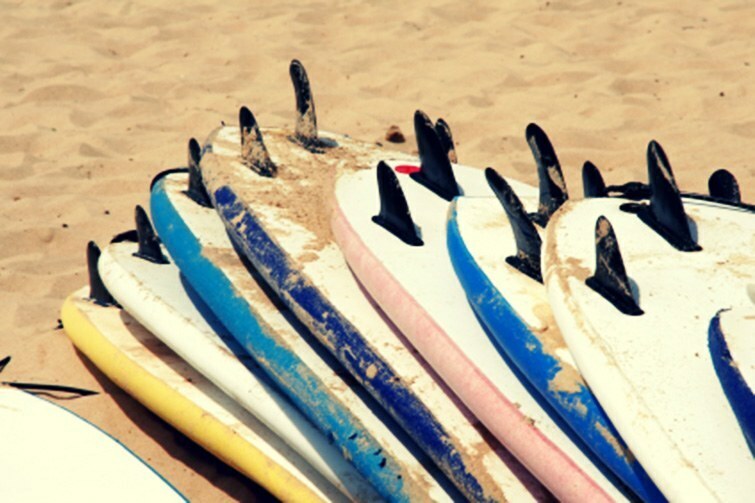 Each class with one surf instructor shouldn’t have more than eight surfers. Surf schools that do not respect the 1/8 ratio rule are violating the official security procedures. Turning and cutting back forehand and backhand. Surf teachers should be able to get a novice surfer to a surfing level in which the have the ability to do carving turns and cope with re-entries. Situated in the North of Kuta and Seminyak, the village of Canguu is a uniquely blended paradise positioned between a beautiful temple and a sprawling metropolis. Alongside an array of high-end shops, cafe culture, day spas and dreamy surf breaks you will find Canguu Surf School. The school is fantastic for beginners and teaches you step by step from the base. The beaches in the area are also suitable conditions for novices. The ISA certified surf instructors teach you the right technique from day one, whilst correcting you when necessary. Canguu also guarantees one professional coach for every two participants, so you’re sure to be catching your first real wave in no time! With calmer, crystal blue waters, Jimbaran Bay is one of Bali’s best and safest beaches with spectacular sunset spots to boot. Jimbaran’s waves are great for the newbie surfers, too, and is fast becoming a must-see part of the island to explore. The crystal blue waters beckon virgin surfers, with an array of surf schools on offer such as the Rip Curl School of Surf and Balangan Wave Surf School, to assist in conquering that first mighty wave. Rip Curl School of Surf offers surf schools in Legian, Sanur, Kuta and Jimbaran. They cater for kiddies, absolute beginners, as well as the advanced rider. To view one of the best surf spots in action check out our crew hanging out in Balangan paradise. 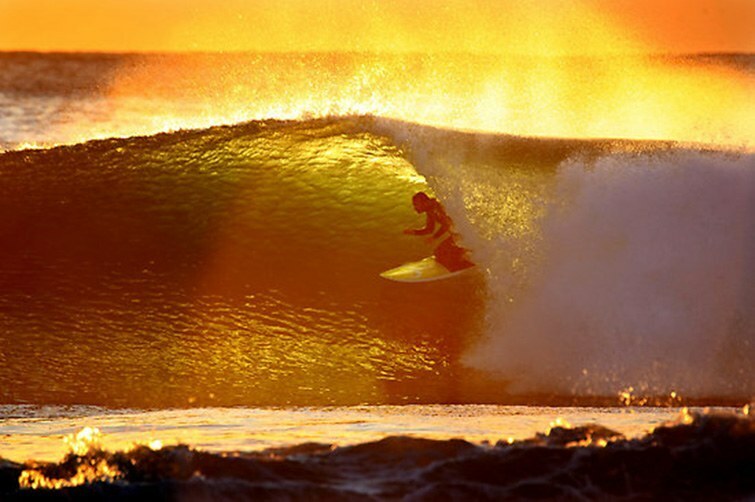 The International Surfing Association (ISA) is the world governing body for surfing. The official ISA certified surf schools must renew their registrations every year. Read the full list of Obligations for a Registered Surf School. 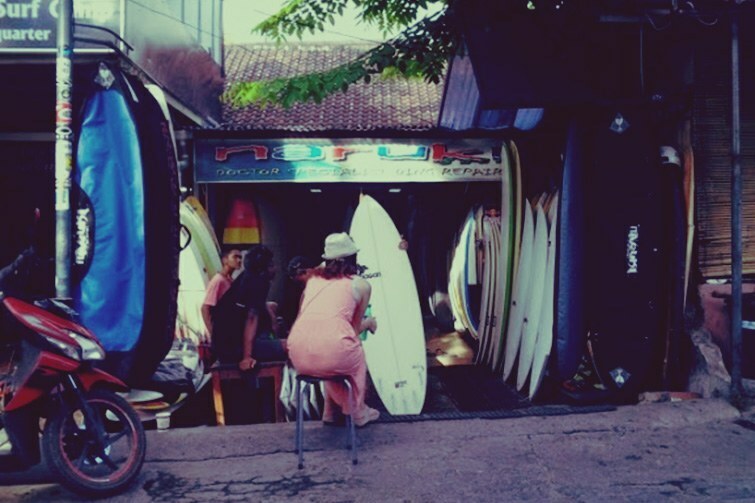 For all your surf renting needs, there’s a large selection of surf rental shops in Bali, particularly in the Kuta beach area. The chart below is a general guide on the price for specific board rentals and an estimation of costs for the duration of hire. Most surf shops offer shortboards, longboards and mini-mals to hire, as well as wetsuits, a range of surf gear and UV protection surf shirts. Check a currency converter to see what that means in your local coin. 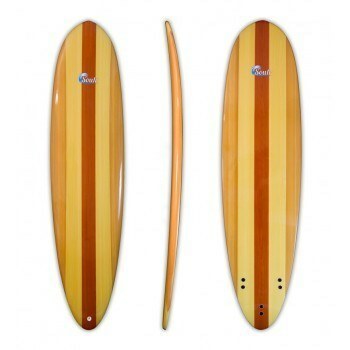 A beginner’s surfboard is quite affordable and can be purchased for roughly $250 AUD. 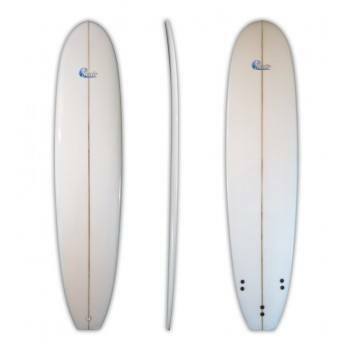 The soft / foam surfboard models are longer, wider and heavier, so beginners can easily take off on their initial waves. 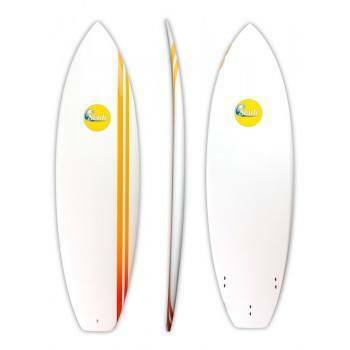 Beginner boards are made out of expanded polystyrene (EPS) foam which adds durability. This allows for higher buoyancy levels in order for beginners to easily stand-up while training. Yee-ha! 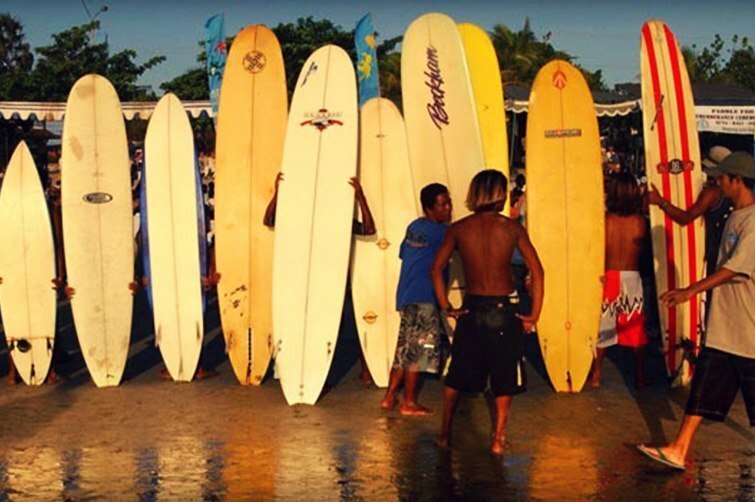 Weight and height are the initial variables to have in mind when purchasing your first board. Floatation demands volume and a good learner surfboard has high buoyancy. Surf novices should buy soft top surfboards that will help them catch as many waves as possible in the early white water days. You will paddle much faster and will rapidly pop up on a stable board, despite it being bigger and heavier than your traditional shortboard. 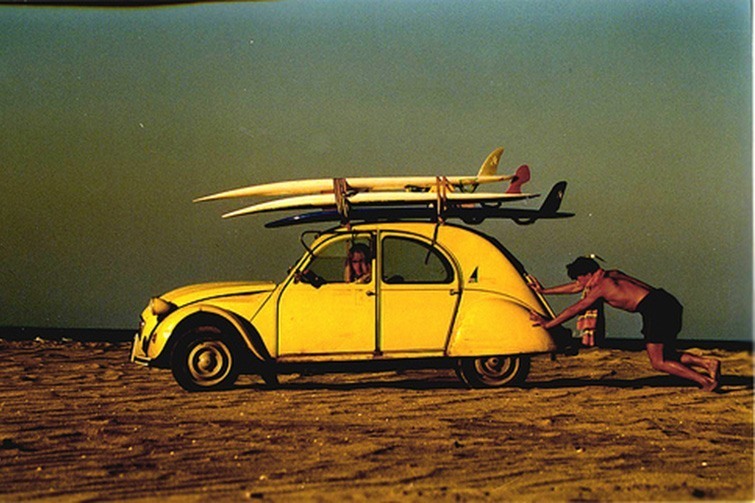 Quality foam surfboards can last a long time. In size, they range from 6′ to 8′ feet. An average adult should be able to get started on an 8′ foot, while a child can learn with a 6′ foot. Remember: the bigger the board, the faster you’ll be riding the waves! What size? What shape? What style? A shortboard, a funboard or a longboard? Agh! Most importantly, you have to choose a board that suits your weight and level of experience. To select a board to rent or even buy whilst in Bali, we’ve provided a simple guide below indicating four surf board categories and their main features. Each has its own benefits for different styles of surfing and experience levels. There’s also a surfboard size to weight chart for beginners on a shortboard, malibu / funboard and longboard. Shortboards are made for the pretty good to expert surfer and are the most common style for the professionals. Designed to maximise speed and manoeuvrability. Mostly designed for the less-experienced surfer to have the turning ability of a shortboard and the paddling ease of a longboard. Longboards float better than a shortboard. 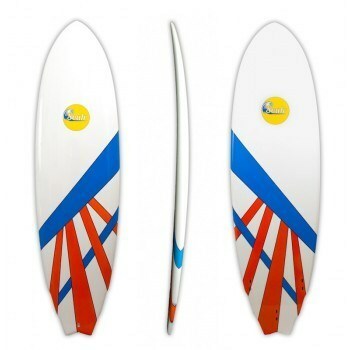 They feature greater strength and a rounder nose, making it hard to manoeuvre but easy to paddle with and catch waves. 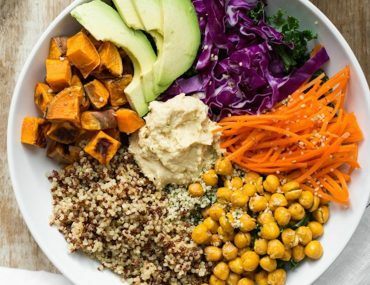 Perfect for the beginner! Size: 8′ to 10′ feet long. Beginners should use a 9′ or 10′ foot board in foam. Once you master the art of surfing you can sell it and get a fibre glass version. Hybrids can fit most kind of waves or surfers, combining elements from other styles. Particularly targeted at experienced surfers who want a performance board which is heavier or a wider build, or even beginners who want a comfortable surfboard to paddle out on. Size: 6′ feet long or even longer. Shortboards are – fast, short and easy to turn but require a level of expertise to ride on. They are way more difficult to catch a wave with and require a lot of balance from the rider. Malibu’s / funboards are a cross between a longboard and shortboard. They are a lot easier to turn than a longboard and much more buoyant, making it easier to catch a wave. Longboards range from +8 feet long and will float pretty much anyone. They are slow and not the easiest to manoeuvre, but will ensure better paddling and improve your chances of catching a wave! Surfing with a ding in your board can shorten its lifespan remarkably. Unfortunately, if you don’t dry it out completely once the foam meets water, the board will start to de-laminate. 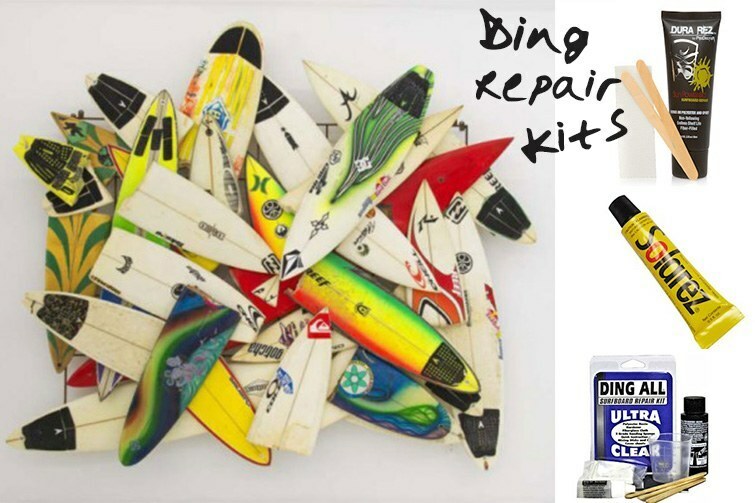 If you don’t want a damn ding ruining all the fun on your Bali surfing vaycay, invest in a mini ding repair kit before you venture across to Bali or purchase a kit in one of the surf stores on the island. There are several surfboard repair kits available on the market. So if you want to play Ding Doctor, reputable brands such as Solarez Pro Travel Kit, Dura Rez, by Phix Doctor and The Ding All Standard Repair Kit will do the trick. Repair kits such as Solarez won’t discolour your board and best of all can be completed in 10 minutes. To get the repair started, sand the damaged area thoroughly so that the solution can form a strong bond to your board. It’s advised that you apply it in the shade. Then place the board out in the sun for 5 minutes or so. 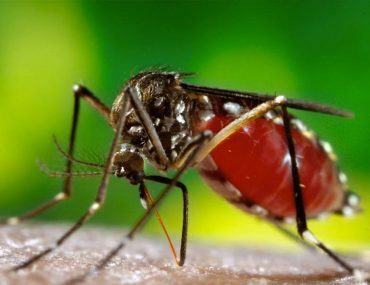 This product will start to cure in less than a minute. It’s strongly advised to let the foam dry out before you go ahead and make a permanent repair to your surfboard. Let’s say your board gets knocked around on the plane before you even hit the water or you crack it during an epic wipeout, the best think to do is always have a surfboard repair kit handy or leave it to the professionals. We suggest you hit up Bali’s best ding repair doctors – the knowledgeable craftsmen at Naruki Surf Shop in Kuta. They are known as the ding repair specialists and come highly recommended to mend all your board injuries. The local crew are masters in fixing surfboard damages and have become an institution with surfers on the island. They also offer an impressive selection of second hand boards as well as expert advice, so rest assured you’ll be in good hands with these guys and your surfboard will thank you for it. Swell forecasts assist in getting the best out of your surfing adventures. Before hitting the waves, check the latest Swell Forecasts and get the most up-to-date weather and wave forecasts for Bali and Indonesia. And be sure to check in with Tide Charts and the Daily Surf Report at sites like Indo Surf Life, which will assist with planning your surf sessions according to the surf conditions. Tide charts are also freely available in many surf shops in and around Bali each day. Still a little nervous? Make life simpler and go with the pros. There’s a plethora of Bali surf tours on offer, however choosing the best option is always a challenge. The crew at Bali Surfing Tours have been living and surfing in Bali for over 10 years, so they know exactly where to catch the ultimate wave whilst cruising the shores – and they’re happy to accommodate the full spectrum of surfers, from the total beginner to the very advanced. Their tours range from the Bali Sunrise Tour, Speed Boat and Beginner Tour. With a wealth of knowledge under their belt, the crew will happily show you the great breaks and also paddle out with you to each surf break, whilst explaining tide changes and supreme take off spots. For a first class adventure away from the crowds, the renowned Shaka Yacht Tour boasts an epic surf trip aboard their 27 meter yacht. You’ll journey to some ideal remote islands such as Nusa Lembongan, Sumbawa, Lombok and many more depending on the tour – you choose the duration on Shaka’s deluxe floating getaway. Please note: the Shaka Yacht Tour is for intermediate and advanced surfers only. Surf Goddess Retreats Bali is a luxury surf, yoga and Balinese spa boutique retreat for women. This is NO “my-body-is-my-temple” type set-up where dread-locked hippies hang, but a sanctuary for women who seek zen and want to learn how to surf and get pampered in-between. Bali has some of the most exquisite surf villas and hideaways on offer. 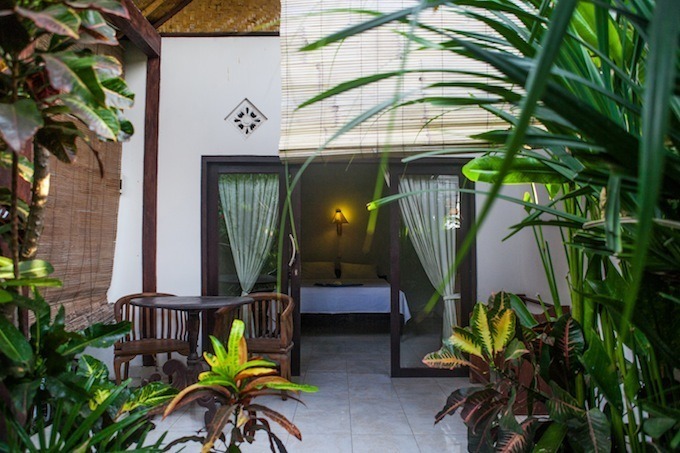 We’ve combed through AirBnB and selected six phenomenal surf villas spread across tropical surrounds ranging from stylish Javanese décor, to awesome pop-art and contemporary style villas, all within a stones throw from good surf. Check it out and nab yourself a sweet place to rest your salty bones. Up for a surf challenge? The Indonesian Surfing Championships are an organised series of surfing competitions in Bali and across other parts of Indonesia, open to local and foreign surfers. It’s an awesome opportunity to take a gander at some of the best surfing in Indonesia! Bali is the ideal place to learn how to surf and conquer the sport regardless of your skill level. If you stick to the beginners beaches, Kuta in particular, you’ll be able to embrace the waves and adrenaline rush whilst learning how to ride in no time. 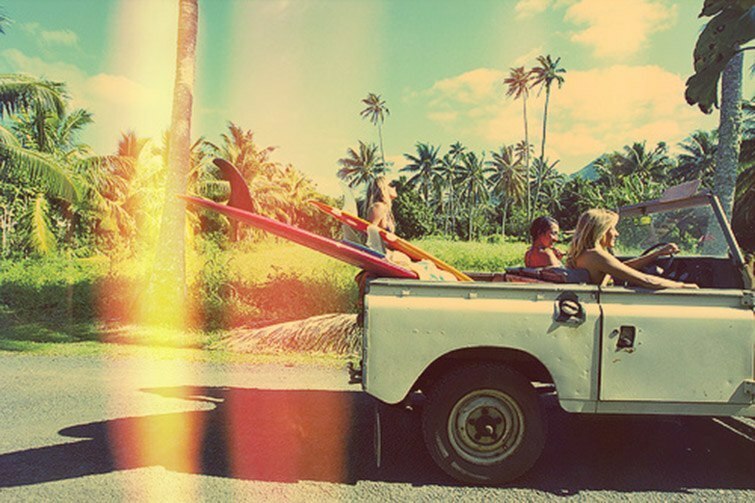 All this teamed with the ultimate holiday or a new life chasing an endless summer! If your idea of a holiday is an adrenalin-fuelled adventure, then read on my friends, read on. From jumping off cliffs to climbing active volcanoes or ejecting yourself superhero-style up in the air – Bali is the perfect place to engage your wild side in some action-packed extreme sports. Gitgit Waterfall is about 11 kilometres from the township of Singaraja. Featuring a number of smaller waterfalls as well as the impressive 40 metre high Gitgit, it is a popular spot for tourists to take some happy snaps as part of a tour. But why photograph something from a distance when you can experience it up close and personal? Gitgit is a great canyoning spot for those looking for a bit of everything. 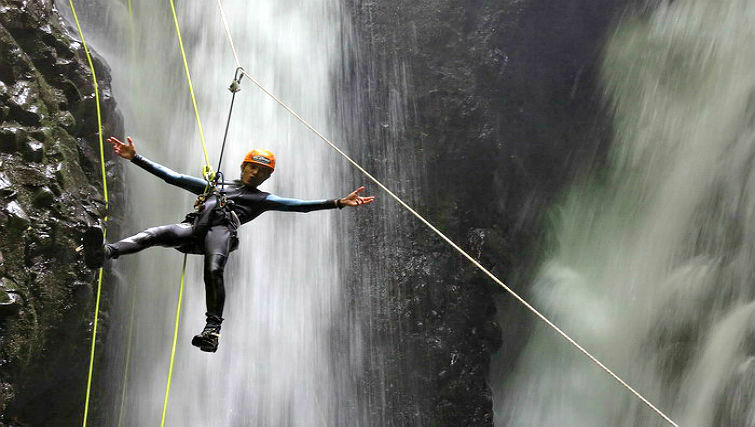 If you like to test your physical endurance and agility, canyoning combines rock climbing, river trekking, cliff jumping and abseiling in one. Add some water slides, natural springs and amazing scenery and you have yourself a perfect Bali adventure. Ever wondered what it would feel like to be Ironman or AstroBoy flying from the ground and up into the air? Well, strapping a Jet Pack on your back and being lifted up to 30 feet into the air at 30 miles per hour may be as close as you’re going to get (for now). The Jet Packs use water as a high-density propulsion fluid that can lift you up and thrust you forward above the water’s surface. There are also Jet Bikes that are basically the same thing, but instead of strapping one to your back, you sit on it like an extreme futuristic jet ski. 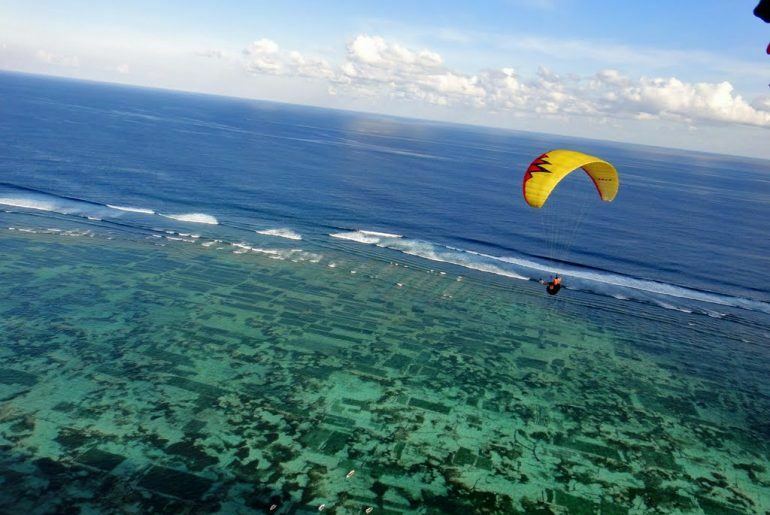 Aussie Bali Adventures offer the ultimate Jet Pack and Jet Bike experience and operate from within the Bali Apollo Water Sports, Tanjung Benoa in Nusa Dua. The cliff top arena is made up of three separate playing fields that stretch over two hectares of Balinese terrain. Expect to commando roll your way through natural undergrowth as well as custom-made hideouts, obstacles and bunkers. In the rainy season, lush green trees will provide you extra cover for doing some recon, but in the dry season, expect more scrub and dry surrounds. Boasting the latest imported equipment, military-styled camouflage jumpsuits and double-lens face protector Anex masks, the Bali Paintball Arena is a great place to unleash your inner Rambo with a group of family and friends. If, like all good adrenalin holiday makers, you are looking for some river rapids, Sungai Ayung (Ayung River) is the place to go. Start from north of Ubud and make your way west along the stream towards the Amandari Hotel. 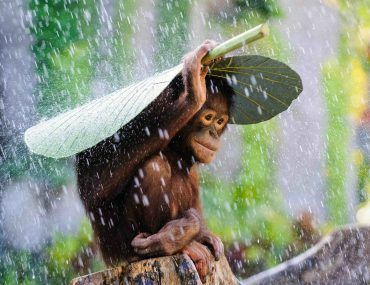 If you like it wild, make sure you plan your trip during wet season (November to March) as heavy rainfall means a more extreme experience. The rapids here are classed between 19 and 25 Class II to III, which means they can be full on, but not life threateningly dangerous. Here’s a wild idea: strap yourself into a rubber boat attached to a speedboat and flap and fly into the air like a flying fish. Three rubber banana boats are combined together with “wings” on either side so that its shape actually looks like a fish fin. Each boat has a capacity of three including a guide in the middle as balance is key to getting some serious airtime. A speedboat drags you about as the waves and wind launch you around two metres above the sea. The rubber boat jumps, turns and hurls you in the air at fast speeds for one adrenalin-packed day on the water. 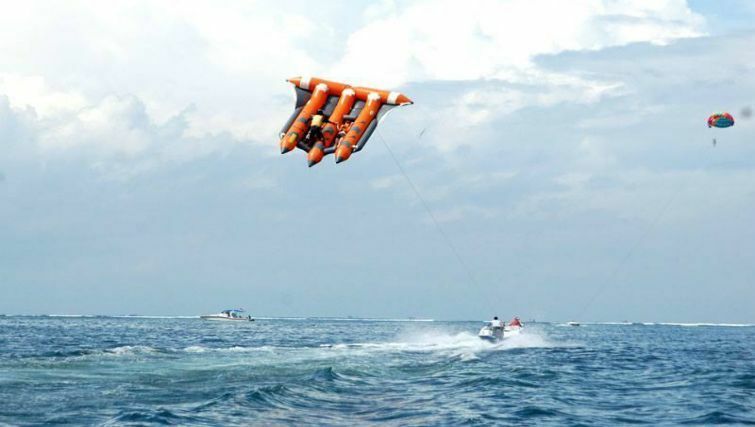 Wira Watersports Bali have the Flying Fish experience as well as other water sport activities such as jet skiing and parasailing for you to indulge in as well. 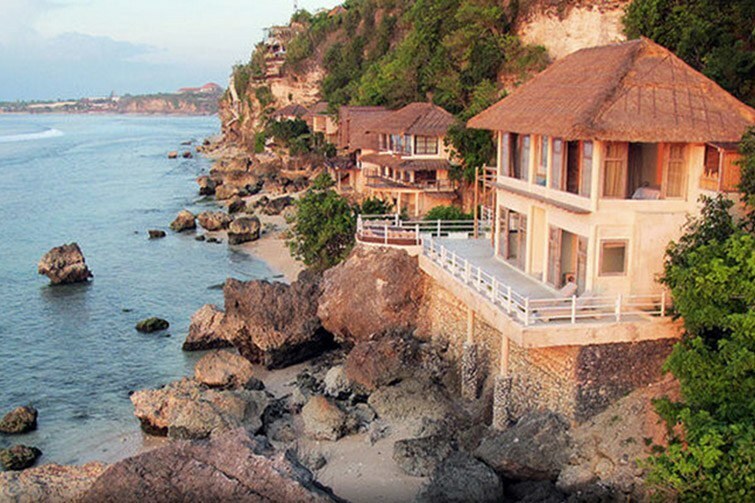 Soar like an eagle along the shores of the Indian Ocean by the picturesque Bali cliffs of Timbis Beach. Every year, from May through to October, the southerly trade winds blow in off the Indian Ocean and allow for a 12 kilometre flight above the beautiful turquoise sea. 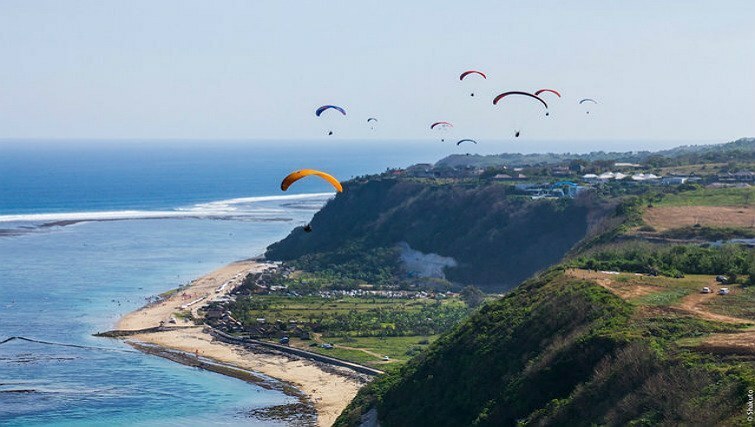 Take off from the top of a cliff and enjoy a bird’s eye view of Southern Bali from Nusa Dua to Uluwatu. There are a number of operators that offer tandem flights and special deals so you can have your pick of seasoned professionals to fly with. Gunung Batur is Bali’s most active volcano, letting off steam and unsettling tremors spontaneously to keep the island’s residence on their toes. In the past, Batur has had a number of small eruptions every few years, with the last main eruption taking place in 1963. The active area of the volcano, just west of the main peak, can be deadly and is prone to unstable surfaces, spurts of steam, sulphurous gases and explosions of lava. 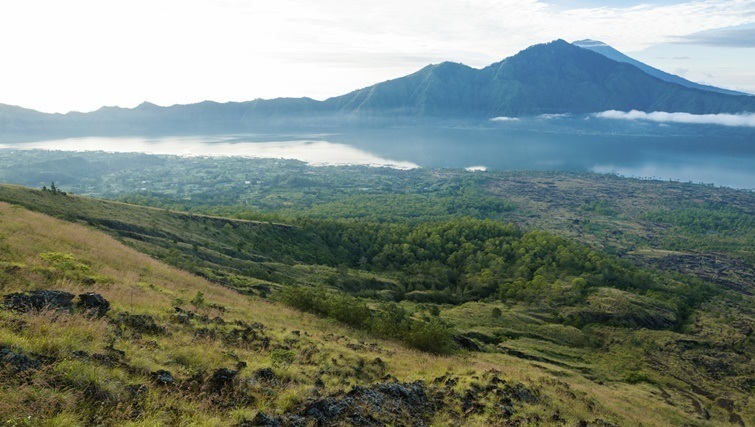 However, the vista surrounding Batur is a geological marvel, which is why it is still a popular trek with tourists. 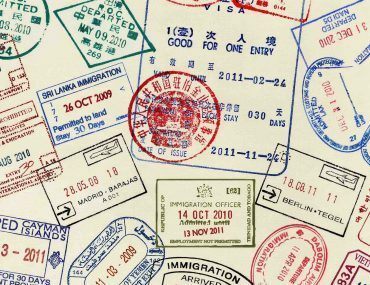 The scene here can be a bit feisty as well, so hang on to your belongings and do a bit of research before selecting a trekking agency and guide – there can be some lively competition for your business between local setups. The Swashbuckler’s Club Adventure Tour has a great action-packed running tour that encompasses climbing Mt Batur as well as white water rafting, jungle and beach runs, and a visit to see some elephants and baby turtles. If you can’t remember the last time you felt the wind in your hair while soaring through the air on a flying fox, then check out the Bali Treetop Adventure Park and feel it once again. 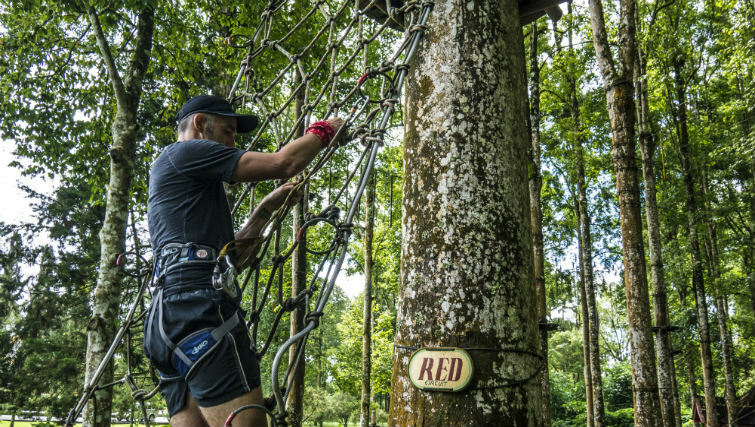 Situated within the Bali Botanical Gardens, this open-air adventure park has seven adventure circuits and 72 challenges that are linked from one tree to another by cables, nets and swings. The family-friendly park has a range of different circuits for every age and comfort level. If you want to get your extreme Tarzan on, opt for the Adrenaline Black Circuit that will have you swinging, flying and jumping from trees as tall as 20 metres. Fancy a bit of extreme sports, but exercise and pushing your body to its utmost limits isn’t your thing? Then hop on an ATV and let the Quad bike do the work for you. An ATV Quad bike is basically a four-wheeled motorbike that can handle a range of natural terrains, making it a great tool for sightseeing. 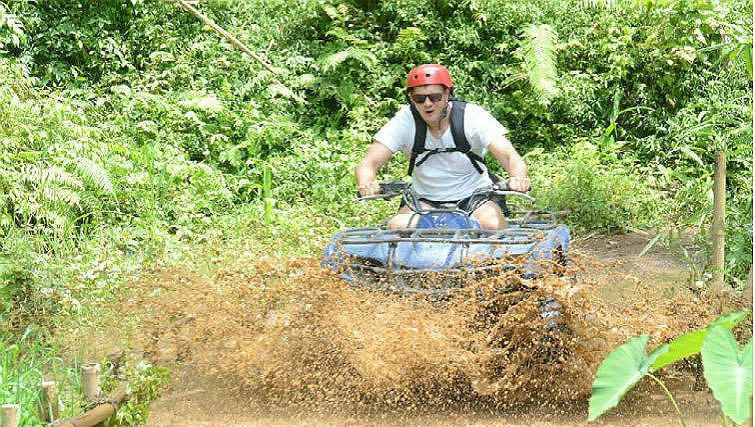 Taro is an awesome place for Quad biking as you can roam through local villages, plantations, the jungle, the countryside, a bamboo forest and more – all on the one Quad track. Taro village is also close to the Ayung river, so you can double up on the extremities by combining some quad biking and white water rafting. Dirt bike riding allows you the freedom to explore remote Bali, while satisfying your need for speed. Take a half-day tour or opt for the more extreme off-road endurance tours that last for 3-4 days. A dirt bike can go where tour buses cannot, so it’s an ideal way to see more of the “real” Bali that Bali-lovers are always talking about. Bali Wilderness Dirt Bike Club offers a “real adrenaline packed” dirt bike tour for those who like to turn it up a notch. It encompasses a rice paddy field track, traditional villages, steep hills, jungles and rivers. This is a great way to explore rural Bali on two wheels. We’re always trying to escape the crowds in Bali. Kuta, and even Seminyak, have become dirty words in the traveller’s vocabulary that suggest bad taste and invite disdain. They’re not all that bad, and Bali’s central hub “is what it is”. But it’s true that there’s much more behind the back door if you’re willing to get on the road for two to three hours (or even more). Amed is a bohemian fishing village that unfolds over a 10km stretch of homestays, warungs, cafes and diving shops. We even stumbled across a few trendy clothing boutiques selling western style sun dresses. Go figure! The best travel is a leap in the dark. Arriving in a strange place under the cover of night. Not in the brightly lit capitol, but through the back door. Fast boats to the Gilis from Amed only take 40 minutes (IDR250,000 for a one way trip), versus an hour and a half from Padang Bai. 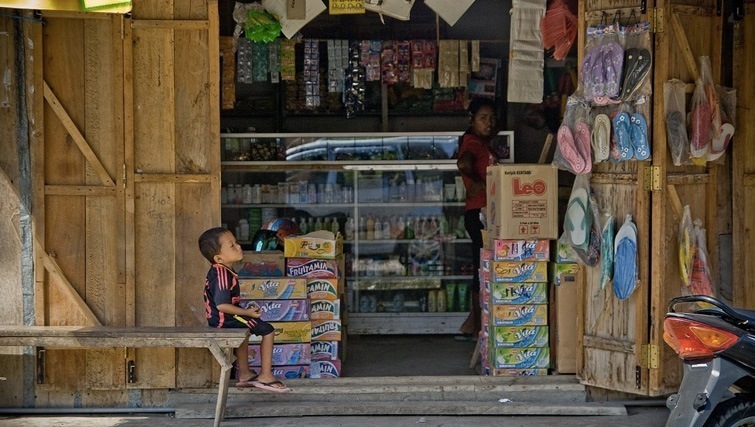 The town is just over an hour past Padang Bai, but most travellers don’t go the extra mile. Trust us, it’s worth the drive. The village is gloriously laid back, and there’s more things to do here than you’d expect. 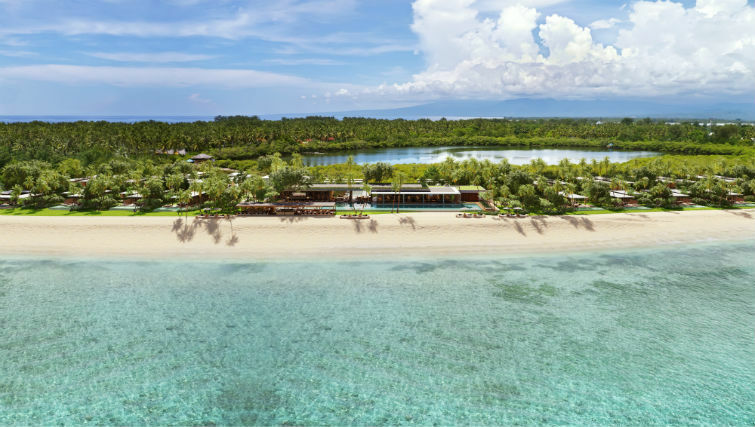 Did we mention a black volcanic sand beach, calm cool waters and a breathtaking view of Mount Agung? It’s pretty special. On the fringes of high season, there aren’t too many tourists at all. However, the place gets much busier over the summer vacation months (June to August). The Japanese shipwreck pulls in the diving crowd. It’s a spot on place for diving with superb visibility and barely a trace of a current. The Fusion free diving school based in Sanur is slowly migrating here as the waters are more ideal (and interesting) for the courses they run. The crowd in Amed is a mix of solo travellers, groups and couples young and old. You hear the buttery accent of the French more than any other tongue here. Perhaps the authenticity of the village and remoteness of the town appeals to them. It certainly appealed to us. Why should you check out Amed? 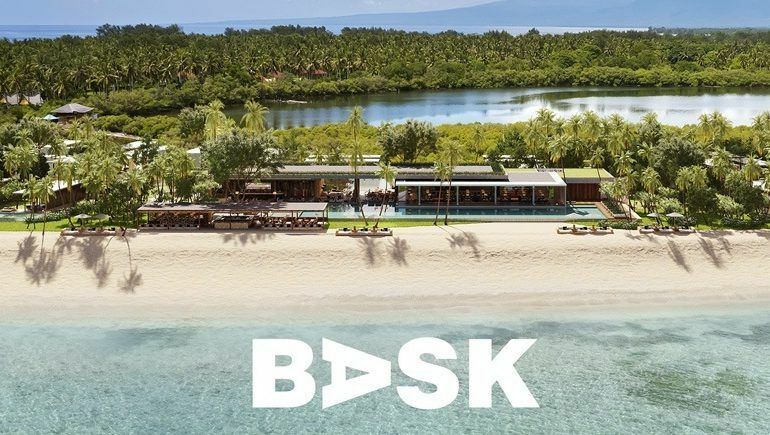 If you’re taking the fast boat to the Gilis and you’re looking for an alternative departure point to Padang Bai, here it is. Travel agents in central Bali should really recommend Amed more often – sadly they don’t. It’s possibly a matter of conflicting interests (how far they think you’re willing to go, and a slice of ticket sales). 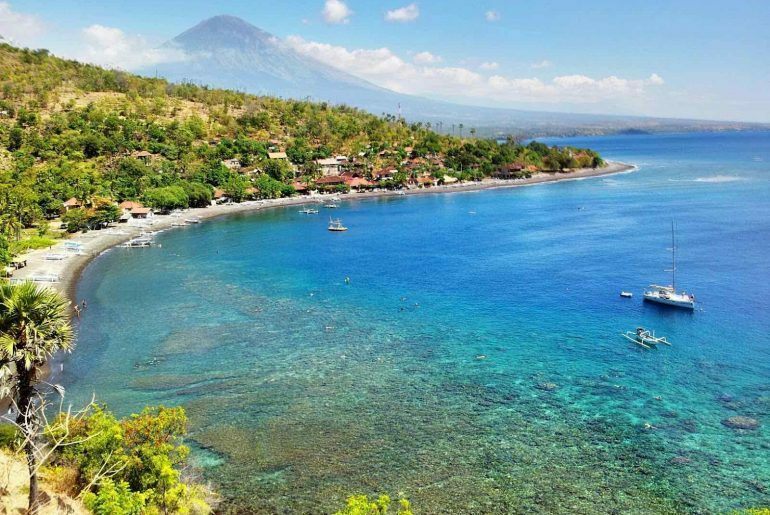 A more curious reason to visit Amed is to be close to Mount Agung. Its energy is believed to enhance creativity, heal emotional wounds and bring you closer to God. Whatever your spiritual reasons, it beats a visit to the shrink. This is a great spot for drawn out mornings in a village café, sunbathing on the beach in the day, playing in the ocean in the late afternoon and watching the sunset from Jemeluk (15 minutes on foot from the center of the village). So far off the beaten track, you successfully avoid the weekend playcation crowd, and have yourself a perfect seaside holiday. Bless! Accomodation in Amed is, for the most part, homestays with two to ten rooms. On the side of the road facing the beach, rooms are IDR150,000 a night during low season (IDR200,000 – 250,000 to be right on the beach with a view). On the village side you can get a room for as little as IDR100,000 a night. We stayed at Hoki homestay (IDR150,000 a night), run by a local fisherman named Made. There are only two rooms here, and his café is the busiest in town, especially in the evenings. The food is great, there’s a lively atmosphere from the hive of activity among his family and staff. He returns in the late afternoons with still-breathing barracudas and juicy prawns. Meals cost between US$2-4. It just doesn’t get any better. In Amed, the women run the warungs, cafes and homestays. The young men speak perfect English and are the town’s tourist guides and drivers, while fishermen like Made take you out to the snorkeling reefs on traditional boats. And there’s a rotation of foreign dive instructors based here during high season. But it’s the children of Amed that make this place. During the day, gangs of children trawl the beach selling packets of local salt and beaded bracelets. They speak pretty English in cute high pitched voices and scurry away while chanting your name if you buy one. In the evenings (when they’re off duty) they swim around you in the sea and ask you the handful of questions they learn in school, over and over again. The CIMD runs a school here that teaches English, and provides medical care for the community. Organizations like this one play a pivotal role in improving the lives of future generations in remote communities. If you’re in Amed for the weekend and have a fabulous time, don’t leave without giving a little back. 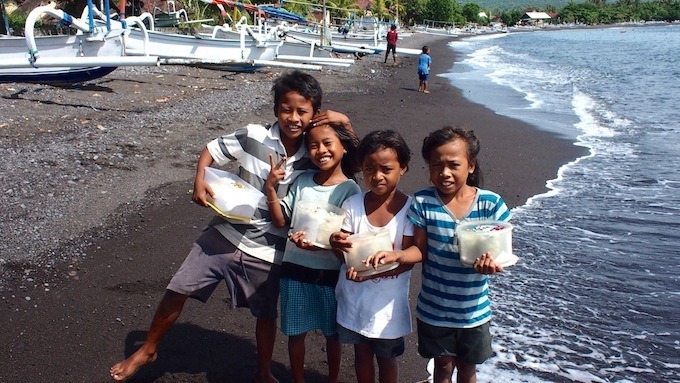 Find out how you can contribute to the Yayasan school and social project in Amed. 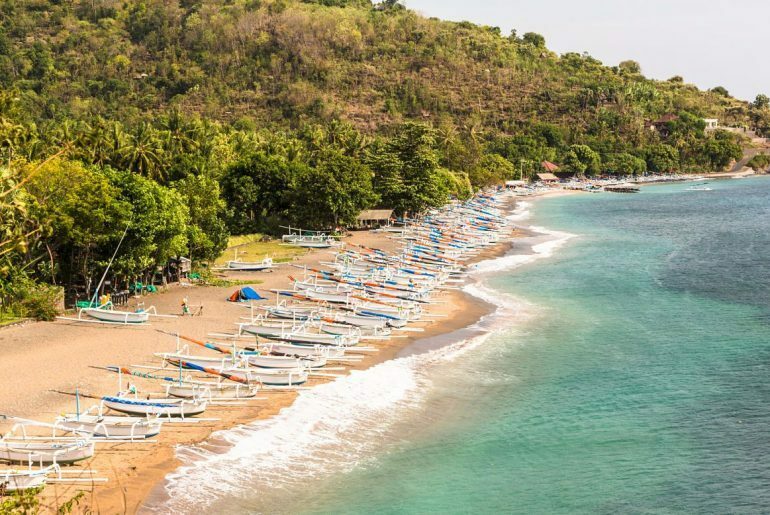 For a modest fishing village that’s three hours away from Denpasar, the laid-back town of Amed has a deceptively large number of brilliant things to do. The best time to visit is on the fringes of the high season between June and August, before the homestays and cafes fill up. Besides, it’s the sort of place you want to have to yourself. The upside of the long drive to get there from Denpasar is that prices for food, accommodation and activities drop significantly. Now you’re in the real Indonesian economy. Rooms in a homestay cost between US$10-20 a night. You can get fed at a café for US$1-4 and the food is pretty good here. 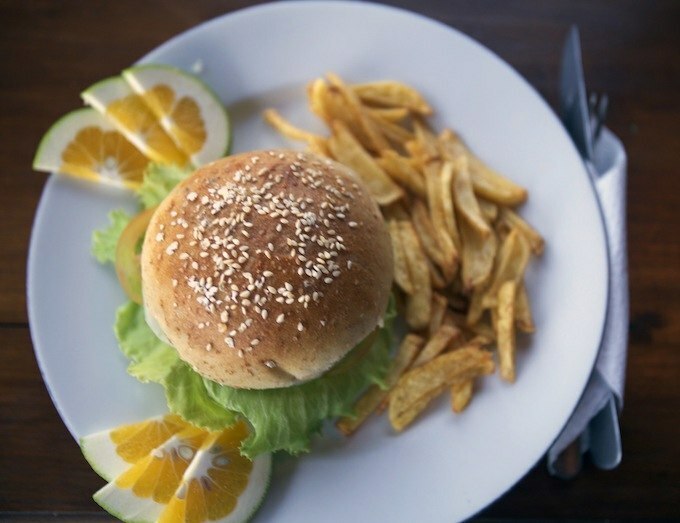 You’ll find fresh seafood, salads, spring rolls, homemade soups, burgers and pizzas on the menu. Places to eat aren’t in short supply, although people tend to gravitate to Fusion Dive school café and Hoki homestay and café for lunch and dinner. 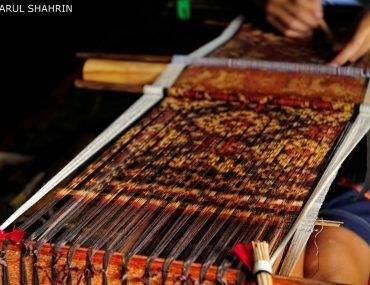 Here are a dozen wonderful things you can get up to in Amed. The Japanese shipwreck site in Lipah rests on a sharp slope that’s about 10 meters deep. It’s an easy dive; the small wreck is inhabited by soft and plate corals, red skeletons and fluorescent gorgonians. The larger USS Liberty wreck offers a variety of challenges for the beginner to the pro diver. The best time to explore these wrecks are in the morning. And those are just two of many, many dive sites in Amed. At the Tulamben drop off, you’ll come face to face with reef sharks and graceful stingrays. Along the main wall, you’ll encounter a rainbow of sea life. 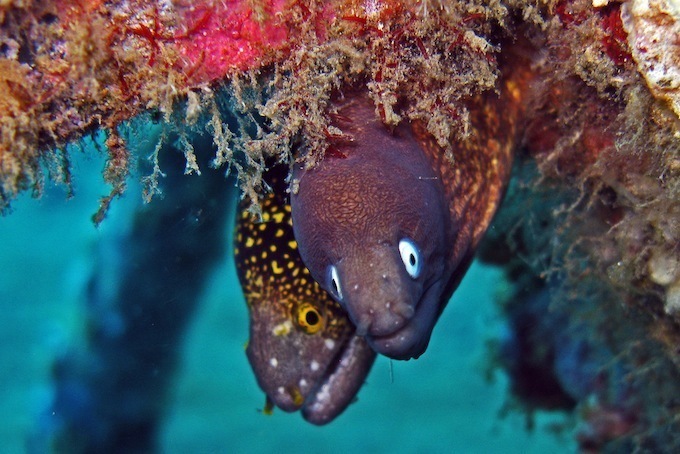 Then off Jemeluk you’ll find the freckled eel, octopus and giant trevally. Dives cost around US$75-85 for two dives. Check out Baruna Dive Centre (+62) 852 3838 9529 or email infobarunadivecentre@gmail.com for more info. If you’ve been meaning to get your PADI, stop putting it off. Diving courses in Amed are too reasonable to pass up. The three-day open water license costs US$350. And if you want to get really serious about getting certified, a month-long Divemaster course with unlimited dives is only US$1,000. As an added bonus, you’ll find dive courses in English, French and Spanish here. What are you waiting for? 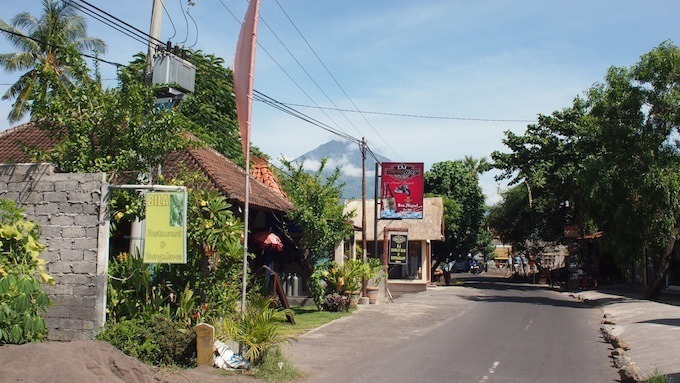 Locals believe that Mount Agung is the source of Bali’s divine spirituality and pure energy. 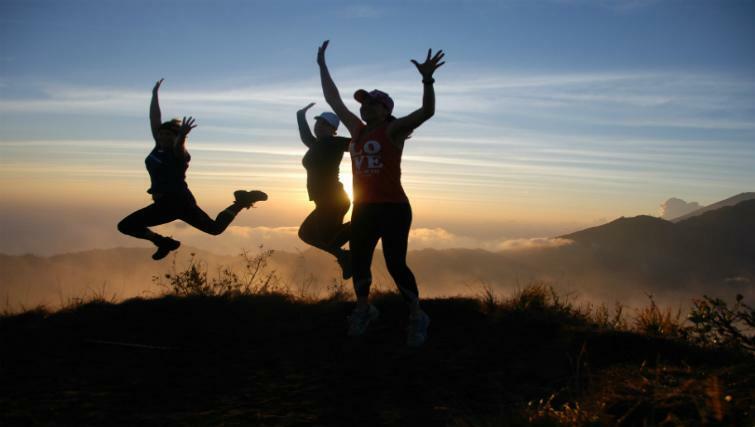 What better way to channel Bali’s sacred spirit than by climbing to the holy summit? The most profound time to stand on top of the mountain is when the sun is rising. From the peak, you can see as far as Lombok. The treks begin the night before at 11:45pm. By 6am you reached the top in time for the special moment (as your legs give way beneath you). The good news is that it only takes four hours to get back down to Besakih Temple, the pick up point. Visit Bali Sunrise Tours for more information. The single most endearing thing about Balinese rural life is the industrious spirit of the people. Walking around the village you’ll come across small poultry and produce farm plots and hear the banging of nails into wooden boards. With Mount Agung ever present in the backdrop, photo-ops are endless. The best way to get to know the village is by zipping around a motorbike like the locals do. Renting a motorcycle costs only IDR50,000 a day (that’s right, a fiver). There’s plenty to see along the Amed coast that goes on for 10km before you’re officially in the next village. Does the idea of eating what you catch whet your appetite? Barracuda, Mahi-Mahi and mackerel are abundant in these waters. A two to three hour fishing trip on a traditional outrigger boat costs about IRD150,000 and a little more during high season. The volcanic black sand beach in Amed takes a little over an hour to cross from tip to tip; the omnipresent Mount Agung standing magnificently in the distance. You can’t help but draw on the positive vibes in the air. Just the state of mind you need to make groundbreaking decisions in your life. 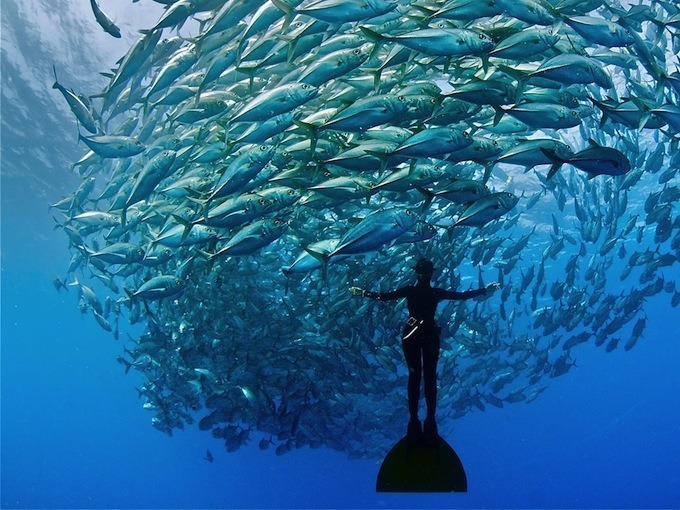 Freediving is all about interacting with the ocean on a more intimate level. It’s also a great way to overcome your fear of the ocean (if you have one) and learn to breathe more efficiently in your daily life. The benefits of this are immense. Fusion freediving school runs beginner, intermediate and advance courses over two to four days (IDR3,000,000 – 5,500,000), as well as specialist courses for surfers (IDR1,250,000) and specialized yoga. 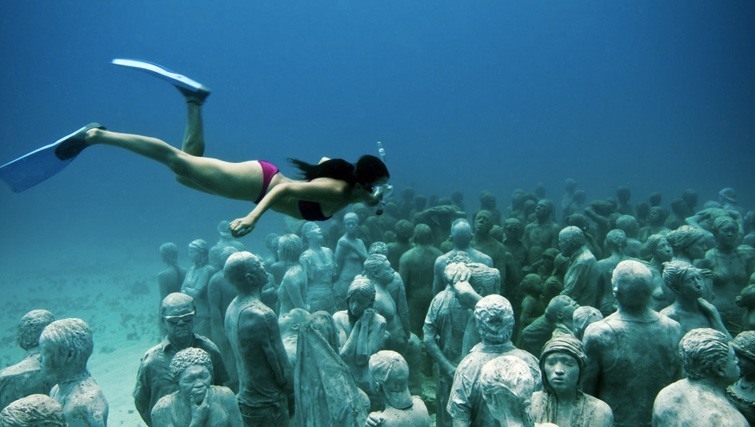 Visit their website to find out more about this intriguing art of diving. Admittedly, there’s only so much salt and so many bracelets one person can buy, even at $2-4 a pop. But the kids around here are really sweet and work really hard to create opportunities for themselves to get an education and contribute to their families at such a young age. Every little bit helps, so make a point to give a little love while you’re here. 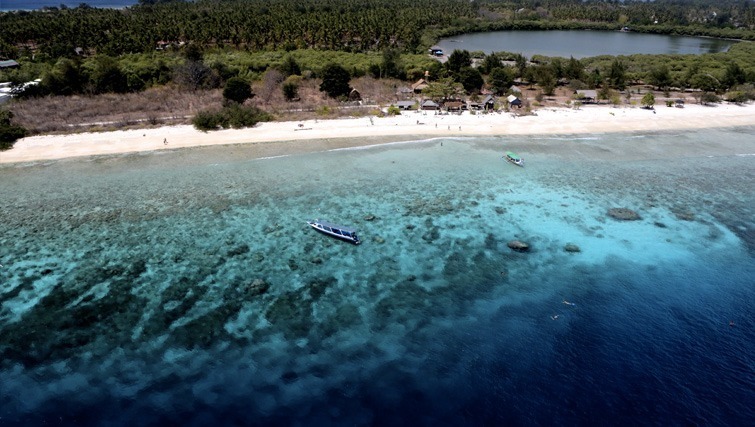 The crossing between Amed and the Gilis or Lombok takes only 40 minutes, much closer than Padang Bai. Tickets are IDR250,00 each way. The Sea Express to Lombok departs at 9:30am daily. The Pacha Express makes one trip at 9am and one at 4pm, in case you want a little more time in Amed. If you’re heading back down to central Bali and dread the idea of the three hour drive, simply hop on the Sea Express and take a joy ride around the Gilis to end up back in Sanur. If you’re on a shoestring budget, you don’t need to get a fishing boat out to the snorkeling reefs to have a good time. You can rent snorkelling gear for IDR30,000 and walk over to Jemeluk where you’ll see plenty of sea life just off the shore. A parting note from Amed… this village is one of the most recent rural areas in Bali to be developed for tourism. The first tarmac roads were only laid down in 2000! Thriving tourism businesses run mostly by local families wait patiently for the recognition this magnificent ocean side spot deserves. Help them spread the word & share this article on Facebook!